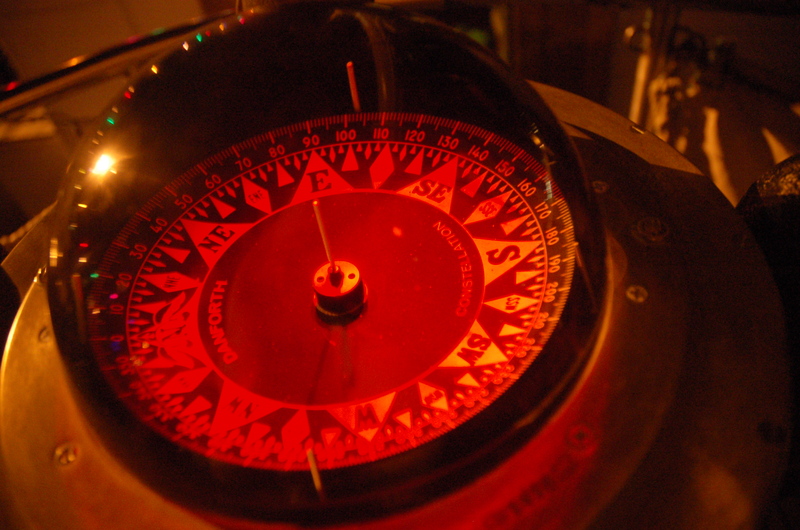 Nestled under the festive lights for the end of week swizzle (ship party), the glowing compass spins slowly with the gyrations of the 134-foot brigantine. (K Vogel, January 2010, Nikon D50). Also shout out to Rich, the coolest Literature of the Sea professor guy in the world. You inspire me to read, write, draw, and, pay attention to birds sometimes. Hope you, Lisa, Alice and all the Williams-Mystic crew are well. 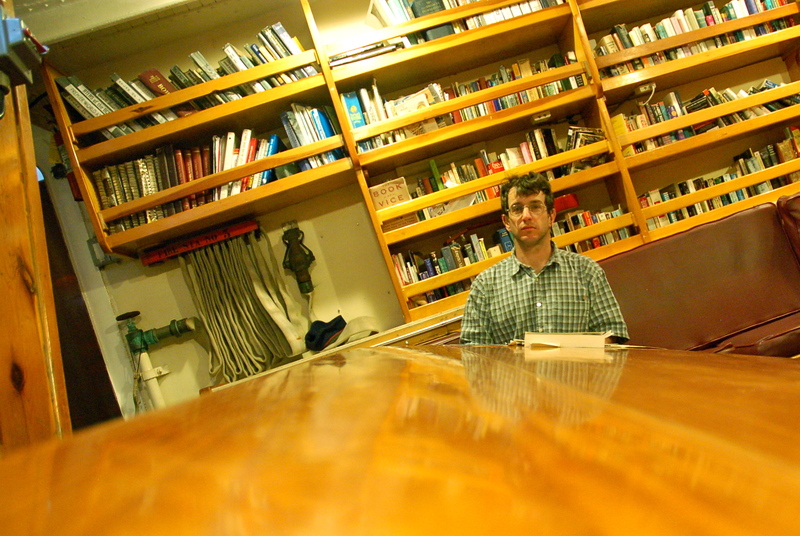 Rich in the library/galley of the Corwith Cramer, enjoying the gimballed tables. Look for these pictures and more in Katie Vogel’s Beautiful Pictures soon.